After relocating from Pensacola to Alexandria, Louisiana, the trio of Dudley-Brian, Joel & Bob Smith set about to establish themselves first locally, then state-wide and regionally with their original songs and three-part 'blood harmonies'. 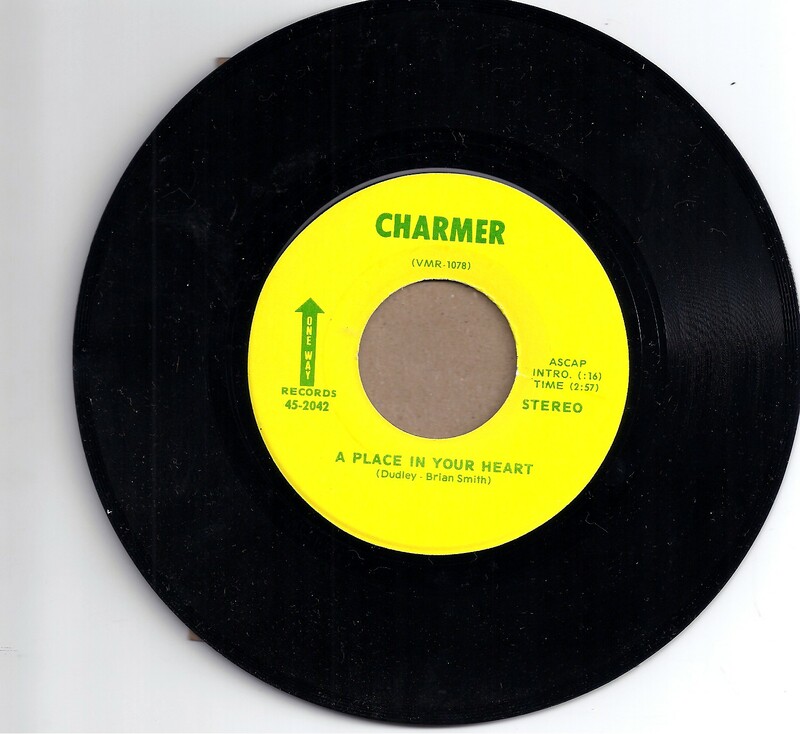 After hearing the single "Try To Please Her" by Skeelix, Charmer decided to do their own single, booking in with Joe Avants at Soileau Sound in Ville Platte, Louisiana. They picked two of their currently most popular songs and with Bob on bass and drums and Joel and Dudley-Brian playing various guitars, they completed 'Place' and saw it released in a few weeks, achieving placement on juke boxes throughout Louisiana. This accelerated the group's exposure and radio followed suit. The three brothers continued to perform regularly throughout the state and made regular appearances on local television program. Side A: A Place In Your Heart/Side B: Crazy With The Wind (an early version of Goodbye Old Friend). Both songs written by Dudley-Brian Smith (lead vocals, lead electric & 12-string guitar), Joel Smith (vocals & acoustic guitars)& Bob Smith (vocals, drums & bass).